Why can’t women appoint Anglican bishops? It is a long time since I have commented here on the slow progress towards the Church of England accepting women as bishops. I haven’t really been following the discussions, which have dragged on interminably. But they may now be nearing an end. The Church Mouse has made a welcome return to blogging to report on the current situation, in a post with the unlikely title Ladies hats. It seems that within the next few days the General Synod may give the final go-ahead for episcopal women – or may throw the process into turmoil by accepting an alternative proposal. I will not attempt to deal with the issues in detail here. But one thing puzzles me – perhaps someone reading this can enlighten me. I tried to post a comment about this on the Church Mouse blog, but the vagaries of the Blogger comment system defeated me. will no longer work if the diocesan is female, and thus the priests and laity … aren’t convinced she is a bishop. They would be in the nonsensical position of accepting the delegation of an authority that the person delegating didn’t (from their perspective) have in the first place. The problem with this argument is that Anglo-Catholics, as members of the Church of England, have accepted ever since the 1534 Act of Supremacy that the English monarch is Head or Supreme Governor of the Church of England, with all earthly authority over it including the right to appoint its bishops. Diocesan bishops are still appointed by the monarch, on the advice of the Crown Nominations Commission. Clearly by appointing a bishop the monarch delegates some of her own authority over the church, including giving that bishop the right to appoint suffragan bishops and priests within his diocese, as well as to celebrate the sacraments within that diocese – something which the monarch cannot personally do. The point here is that the monarch is not a bishop, and is currently, as quite often in the past, a woman. The first woman to be in this position was Elizabeth I in 1558. Yet these Anglo-Catholics have remained within a Church of England headed in this way by a laywoman. 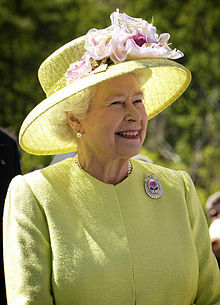 So this is my question to the Anglo-Catholics: If you accept that Queen Elizabeth II, a laywoman, can appoint diocesan bishops and delegate to them authority and the right to celebrate sacraments, why can you not allow that a woman appointed by her as a bishop can appoint a male subordinate bishop and delegate to him authority and the right to celebrate sacraments? I understand that you do not recognise the appointed woman as a bishop. But if the authority to act as a bishop can be delegated only by a bishop, or only by a man, then none of the diocesan bishops are validly appointed either. I note that this is not an issue of the validity of orders, as it could be required that the subordinate bishop be consecrated by at least one male bishop, but of the validity of episcopal appointments. Now I respect the argument that no lay person can have authority over the church or appoint any kind of bishop. That is the argument for which Bishop John Fisher and Sir Thomas More were put to death in 1535. Fortunately our current Queen does not assert her authority as vigorously as Henry VIII did, and does not count it as an act of treason to reject her supreme governorship of the church. So there is an easy way out for those who can only accept bishops being appointed by other bishops: they should move to the Church of Rome, all of whose bishops are appointed by the Bishop of Rome. The recent innovation of the Ordinariate has made things even easier for Anglicans who wish to make this move. On the other hand, those conservative Anglo-Catholics who choose to stay in the Church of England should recognise that not only those they recognise as bishops have the right to appoint bishops and delegate authority to them. They should also recognise that the church is bending over backwards to make allowances for their minority position of not accepting that women can be bishops. And they should accept those arrangements with good grace and work for the peace, unity and general advancement of the church in which they choose to stay. This entry was posted in Anglican Churches, Bishops, Gender and Leadership by Peter Kirk. Bookmark the permalink. I wonder…are there Anglicans who oppose female bishops, but are okay with female priests? As in, is there something ‘special’ about being a bishop that they believe only a man can do? Or are these people who would oppose women in any official position of authority in the church? the monarch does not delegate anything to a bishop but simply has a (historically decisive) say in the choice. Indeed, it is unacceptable for those not accepting female bishops to accept a replacement bishop appointed for them by that supposed female bishop. After almost 500 years the Anglican policy – call it compromise, call it double dealing – no longer works, now that even the most fundamental things are no longer beyond questioning. And numbers, majority, minority are really beside the point! Rhea, I don’t know of any who fully accept woman as priests but not as bishops, on principle. But there are those who have learned to live with women priests, whose responsibilities are limited to their parishes, but cannot live with women bishops because they would have wider authority, including potentially over the dioceses where the objectors worship. These people believe either that women should not be in positions of authority in the church (the conservative evangelical position) or that they cannot be validly ordained as priests or bishops (the conservative Anglo-Catholic position). (the “we” here being the royal “we”), clearly implying that the monarch gives these things to bishops. whosoever are consecrated or ordered according to the Rites of that Book, since the second year of the forenamed King Edward unto this time, or hereafter shall be consecrated or ordered according to the same Rites; we decree all such to be rightly, orderly, and lawfully consecrated and ordered. I’m not sure how the Anglo-Catholics get round that one. To pick up on your last point Peter, having , in relation to a traing assignment, looked at the way the anglo catholic “renewal” developed from the Assizes Sermon in Oxford, it seems to me that the emerging movement found little difficulty in interpreting the canons and Articles in ways which suited their position. Others they just ignored. To pick up on Rhea’s point, there have been conservative evangelicals who would accept a woman as a priest (prebyter?). In other words a woman can (help) lead worship and preside at the Table. But not as a Vicar/Rector and certainly not a bishop. This is the authority argument. In his first edition of Issues facing Christians Today (1983 ish), the late John Stott appeared to take that position. I will look again at the 3rd edition to see how he lived with women as priests. As to how we might make it all work. I think I could live with some sort of 3rd province – the church within a church, to keep the ACs on board. But I am unsure how that could work over time as the number of women grew. I have not really thought it through properly yet. At the very least I would support making it an obligation for all diocese to ensure there is a male bishop hping we can work through the delegation implications. I’ll pass on the implications for the resolution of the Donatist controversy , reflected in Article 36, for now. Thank you, Colin. But the royal supremacy is fundamental to the Church of England, not some abstruse point which people can get away with ignoring. The way in which some Anglo-Catholics, and conservative evangelicals, in effect blackmail the church into meeting their ever changing idiosyncratic demands, even ones contradicting the Thirty-Nine Articles, suggests to me that the only real resolution of the situation is indeed for them to go off and form their own separate province, in effect an independent church within the Anglican Communion, where they can set their own rules. Thank you, Don. Actually I think it is a slightly different argument, as you are talking in terms of headship, the conservative evangelicals’ obsession, whereas I am talking in terms of orders, the Anglo-Catholic watchword. But the point is really the same: if the Queen is allowed to be the head of the C of E, it makes no sense to reject women in authority. By the way, the words you quote from the preamble to the Thirty-Nine Articles seem to come from Charles I, according to this page. As someone who has grown up in the Church of England, I have a great love for it, but also find it hugely frustrating. Trying to accomodate different views and standpoints feels like we just end up going round in circles. I can’t see there being a satisfactory conclusion to this matter. It will just come down to how many people there are on either side and who wins the vote. We’ve been through this before with women priests and everything is pretty much holding together still. Bishops don’t really affect the day to day running of parish churches. Other than upsetting Anglo-catholics, will it really make that much difference? But as it is the Church of England here I still expect there to be some sort of fudge if the vote goes through. Gillan, those are very much my thoughts as well. I have a similar love-hate relationship with the Church of England, having at least twice tried to leave it and been led back into it. All I would add is that there are also quite a lot of conservative evangelicals who would also be upset if women are allowed as bishops, such as my real life and blogging friend John Richardson, The Ugley Vicar. But most of the arguments are about theoretical views of authority which are completely remote from the actual day to day life of parishes. Why should priests who never really submit to the authority of their male bishop, but do their own thing in almost every way, worry about a woman having that theoretical authority? I guess the only authority these priests really recognise is that of the courts and bailiffs who could in principle eject them from their parishes. So what should matter to them is that these are male! Yes you’re right about conservative evangelicals. In my part of the world most Anglican churches are at the high end of the spectrum, so it was off my radar as I was writing the last comment. Glad to find someone who is thinking along the same lines as myself. I know this is an important big issue and deserves to be discussed thoroughly and prayerfully, but reading all the blogs and articles on this subject is giving me a headache! Realise the end of the last comment sounded a bit glib. Each time I read something about women bishops, I seem to come across another opinion or slant on the issue. I fear that finding any sort of consensus will be a near impossible task. Indeed, Gillan, “a near impossible task”. I am reminded of 2 Corinthians 6:14-16. But the Church of England has nearly 500 years’ experience of finding and imposing messy compromises between light and darkness, so I think they will find one again on this. At least it no longer puts to death those who don’t accept the compromise.